Behind any great man, there’s always a greater woman… and you’re about to meet her. It is crucial you get to know this woman – many of us already do and don’t even realise it. Joan Castleman (Glenn Close): a still-striking beauty with impeccable credentials, the perfect alpha wife. Forty years spent sacrificing her own talent, dreams and ambitions to fan the flames of her charismatic husband Joe (Jonathan Pryce) and his skyrocketing literary career. Ignoring his infidelities and excuses because of his “art” with grace and humour. 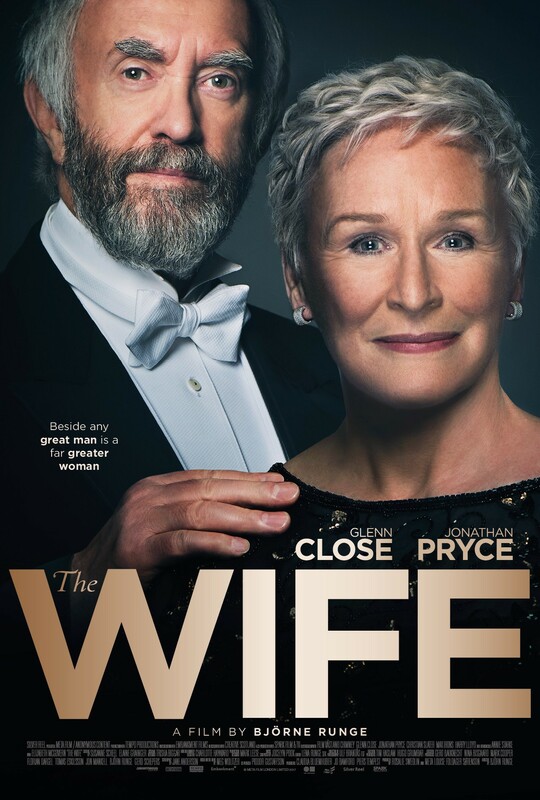 The Wife is a poignant, funny and emotional journey; a celebration of womanhood, self-discovery and liberation.